It’s 80 degrees in LA, but I’ve got snow on the brain. 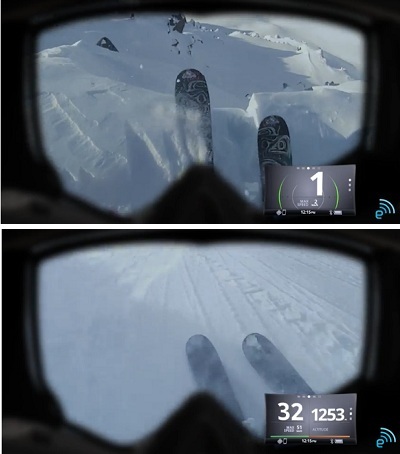 Oakley has introduced new snow goggles that integrate GPS, Bluetooth and other “onboard sensor” technologies that turn your run-of-the-mill ski run into your own personal video game. You can connect with your smart phone to receive calls and texts, and check out and control your music playlists. There’s also GPS tracking to allow you to find your friends, jump analytics to test your skills and navigation and pre-loaded maps to help you move around the mountain. There’s also a water-resistant remote you wear on your wrist that controls your phone and the goggles’ display. At $600, these are no cheap pair of shades, but Oakley does sell interchangeable lenses and straps so you can coordinate your technology with your outfit.